A social centre for the elderly to combat loneliness & provide opportunities to enhance their lives. To provide lunches, services and activities that support healthy living for the elderly. To encourage independence, and provide social inclusion so that older people can continue to live in their own homes and still enjoy the best possible quality of life and companionship. 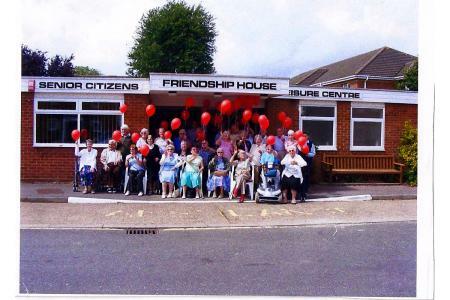 Friendship House is a leisure centre for retired people, with excellent facilities for the less able and wheelchair access throughout the building, to enable Users to meet others in comfort and feel 'at home'. We provide morning tea/coffee and newspapers, a freshly cooked and served 2 course lunch five days a week, a seconds shop, a hairdresser and a monthly chiropody service. 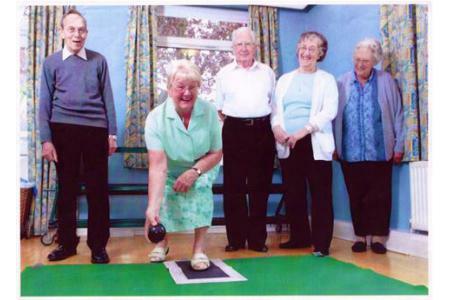 There are indoor activities, such as pool billiards, carpet bowls, bingo and an exercise group, plus organised outings. We are able to offer sympathy and support in times of need, assist those with depression or sense of loss overcome emotional deterioration, and enhance and improve life for the elderly. We always check on any User failing to attend to make certain they are all right, and warn their carer if in doubt. We provide support and relief for carers both those living locally and further afield. Our Users enjoy Easter/Valentine/Halloween events in-house; some are active volunteer assistants at the centre. Drivers for the mini-bus provided by Welwyn Hatfield Borough Council to collect & deliver Users in and around Hatfield. Social activity organiser to assist in both in-house and with organising outings.